Many years ago when I was much younger, single and making my way in the world of recruitment as a desk-level consultant, I carefully considered what type of education would help me develop my career. I had concluded that my economics degree may not be sufficient to take me where I wanted my career to go, which was into some form of leadership role. I looked at the brochures (these were the pre-Internet days) of a few post-graduate programs that I was interested in that were available at various Sydney tertiary institutions. I also spoke to a few friends and acquaintances who were undertaking post-graduate study. After my research I decided that none of the options I had considered were likely to be worth the time and money I would have to invest. Instead I decided to join a Toastmasters club. Toastmasters International is a global not-for-profit training organisation that focuses on communication and leadership development. Each Toastmasters club has a meeting frequency of their own choosing (most commonly, fortnightly) where there is a formal meeting agenda and a mixture of prepared and unprepared speaking opportunities available for both members and guests. Each member chooses a level of participation that suits them. Nobody is forced to do anything. I chose to throw myself into the basic speaking manual (Competent Toastmaster) and completed my first ten speeches (mostly 5-7 minutes duration) in under 12 months. I volunteered for the committee. I took every opportunity to learn about effective speech making and evaluations. I observed and learned from more experienced club members who were very generous with their time and feedback. I visited other clubs to act as a judge for their speech competitions. I entered in all the speech competitions that were on offer. I reached the District 70 (effectively the NSW area) final for the Humourous Speech competition two years in a row. What did this cost me? In financial terms it was about $15 per month. In time, including my speech preparation and meeting time, probably about 5 hours per week. The benefits I gained were immense. I learned the value of preparation. I learned the value of having a formal meeting structure. I learned how to provide effective feedback. I learned the power of words, coupled with effective vocal variety and body language to effectively communicate my message. These were immediately tangible benefits that were hugely beneficial to me as a developing recruiter and aspiring leader. These benefits continue to pay dividends for me today. The most important intangible benefit I gained was understanding the benefits of becoming a self-directed, informal learner, rather than an insitutionalised, formal learner. Since Toastmasters, I have continued to take my professional development down the self-directed, informal (non-tertiary) path. My choices have included Landmark Education, Anthony Robbins, NLP, Thought Leaders and various individual coaching programs. All of these experiences have enhanced my knowledge, thought processes, communication capabilities and skills necessary for my (now self-employed) career progression. As a result, I am sceptical of the genuine benefit, compared to the cost, provided by the vast numbers of expensive and lengthy post-graduate programs offered by tertiary institutions. These institutions rely heavily on the fee income that post-graduate programs generate so they have a vested interest in promoting these programs to potential students. There is nothing wrong with this but the critical question that all potential students, and by association, sponsoring employers, should ask is; do these program provide me with the competency improvement I am seeking in return for the investment of time and money necessary to gain these benefits? A recently released study would suggest the answer is generally, no. Formal executive development programs and MBAs may “seriously impede” HR efforts, an Australian academic has said. 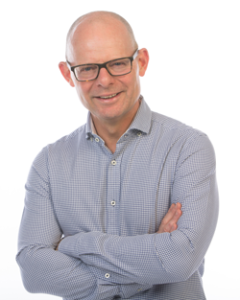 Research by Dr Paul Nesbitt found the future of organisational leadership rested not in formal programs, but in creating an organisational culture typified by self-directed learning development (SDLD). He said the “catch-up” nature of “highly selective and expensive” formal training was counterproductive to the need for leadership programs to be dynamic and reactive to environmental demands. Nesbitt said it could be argued a leader’s capacity for “continuous learning and adaptability” is a “critical leadership competency“. The well publicised decline of such large and long-established organisations based on last century business models (eg Kodak, David Jones, Darrell Lea and Fairfax Media) would suggest that the very types of organisations that have traditionally hired MBA graduates and sponsored existing employees through post-graduate programs, are suffering from leadership that is not ‘dynamic and reactive to environmental demands’. How many employees of Google, Apple or Facebook are undertaking traditional post-graduate programs at established tertiary institutions? I am guessing very, very few. The Google Regional Head of Learning & Development, Will Blott, provided a fascinating insight into the Google approach to developing their employees at the Australian Talent Conference 2012. The combination of technology, instructor-lead learning and self-directed learning that drives leadership and professional development at Google makes the post-graduate programs of tertiary institutions look as relevant today as a roll of Kodak film. The recruitment industry is currently facing significant challenges with respect to its traditional business model. Those agencies that are facing those challenges proactively, confidently and (so far, at least) effectively, are those agencies that have leadership and employee development that is ‘dynamic and reactive to environmental demands’. Coaching and mentoring programs (both internally and externally facilitated) are currently the most popular way this is being accomplished. How are you developing your employees to be dynamic and reactive to environmental demands? Not through a tertiary institution, I hope. Ross, First off, I have an MBA (from Deakin Uni). No one form of developement and/or education is suitable for ALL people. A switched-on organisation will allow and support personal developemnt in ALL its forms provided it supports the business's mission and vision and will improve the performance of the individual in their current or future roles within it. An MBA (or other tertiary qualification) could be perfect for one individual, and not another. I agree MBAs aren't for everyone, but that doesn't mean that they should never be considered. I will say though…that for those considering an MBA, carefully evaluate the course provider and don't be sucked in by the marketing hype of the supposed "superior" and very pricey Universities (eg. Melbourne, Monash, AGSM). Smaller Universities such as Deakin and Swinburne offer extremely good MBAs that often have strong industry participation and support that make them musch more relevant to the real world (unlike Melbourne's). Their graduates are often much more employable as a result.